Sikhism is the world’s youngest and fifth-largest religion. It originated in the Punjab region of the Indian subcontinent about the end of the 15th century. Sikhism started with Guru Nanak Dev Ji, the first Guru and the religious practices were formalized by Guru Gobind Singh Ji on 13 April 1699. The fundamental beliefs and teachings of Sikhism have been engrained in the sacred scripture Guru Granth Sahib ji. Guru Gobind Singh Ji established the Five ‘K’s during the formalization of Sikhism. It was commanded that all Sikhs wear the Five ‘K’s at all times. These articles of faith are the identity and signify commitment to the “Sikh way of life”. 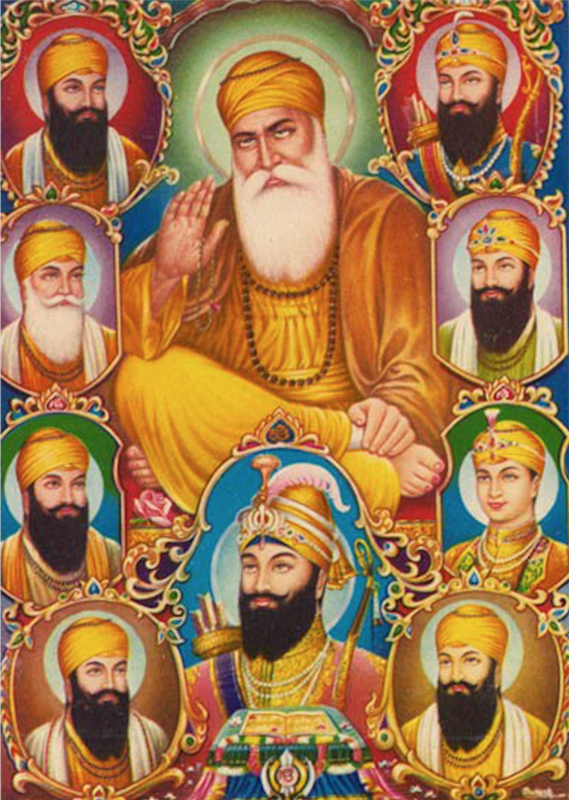 The sikh religion’s foundation is based on the teachings of 10 Gurus.